Signing songs are one of my favorite storytime activities. I am very lucky to work alongside a very special librarian named Clara Scheffer. One of her many amazing skills is that she is conversant (if not fluent?) in ASL. Last summer, I was planning my campfire sing-alongs, and went to her for help putting sign language to songs. I had scoured our collection looking for songs. Since I only know a tiny bit of ASL, I didn’t really know what to look for. I paid attention to pace, looked for repetition don’t know all that much sign language I wasn’t and came across 6 I thought might work for signing. I made her a mix, and sent her on her way. The next day she came back with 5 of the 6 ready to go. 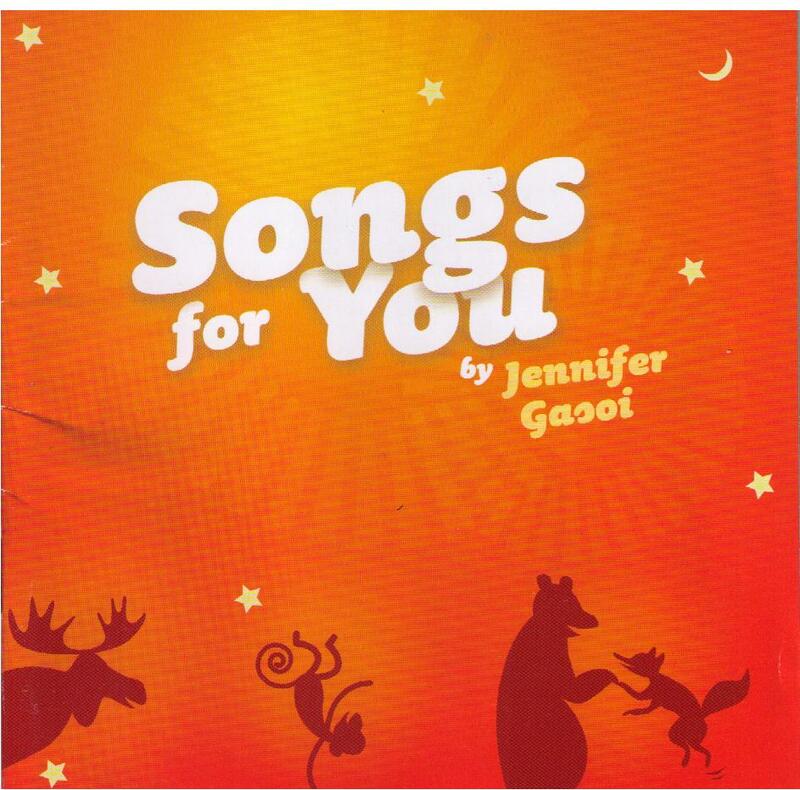 They are all excellent, but my favorite one is “Song For You” by Jennifer Gasoi. It’s the last track on her album Songs for You. An amazing album start to finish! According to Ms Clara, the most important thing to know about putting sign to song is not signing every single word. Sign the words that get the basic meaning across, and/or the signs that are the most fun to sign. In the case of “Song for You” I only use 7 signs: song, for, you, dad, mom, teddy bears, and sparkles. I use this one to close my Toddler Times on Wed and Thurs. It works for just about any age because it’s repetitive and simple. Plus the pace is perfect: calm and slow. The kids love it, the parents love it, and it’s a great way to wind down even the wiggliest group. Here is a video I made for my toddler timers so they can practice at home. FF Founder, Mel is hosting this special 2nd Anniversary Flannel Friday! Thanks Mel! BTW the lovely Jennifer Gasoi ok’d my posting this video. She’s awesome, and she has a new album coming out very soon. Check out her website! I’ve been wanting to incorporate some simple signing in my storytimes and this gives me a great idea on how to start. The song is soooo sweet! I could see using this at a Mother’s day or Father’s day storytime. Thanks so much for sharing. Yes i used it for our mom’s day party last year. It was a great group activity. Thanks Cate, your video is lovely. I DO wish that I was allowed to play music in Storytimes, it would translate to BSL so easily. thanks dude! back at you!